Floor & Design is pleased offer complete kitchen design and bathroom remodeling services for Ashburn, VA and surrounding areas of Northern Virginia. From cabinets, countertops and appliances to toilets and tubs, Floor & Design has it all. 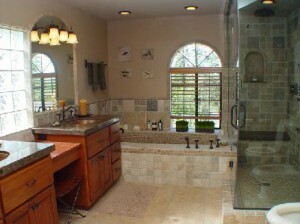 Perhaps you need a new look for your bathroom and new fixtures will be the perfect added touch? 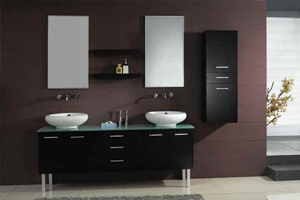 Or maybe a new vanity is the centerpiece that will complete the bathroom’s appearance? Whatever your needs may be, Floor & Design has the right tools to help you get it done. Now is the time to let your imagination run wild and let Floor & Designs expert bathroom remodeling and design consultants help your dreams become reality. Local to Ashburn, VA and serving surrounding areas such as Herndon, Leesburg, Reston, Sterling, and the rest of Northern VA, our team is ready to help. Let’s work together to design that bathroom of your dreams. 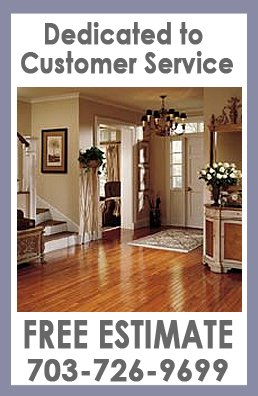 Please call us today for a free consultation!